The webpages referenced in the instructions can be found here: http://www.ei.lehigh.edu/learners/energy/. Please request the password from the developers to access the assessments. This lesson could be used as a platform to launch into other more complex issues associated with US renewable and nonrenewable energy sources that are provided within this entire curriculum. This lesson is a great starting point. The data used is from 2006 and 2007. Educator might want to use more current data when implementing in the class. The states examined are California, Illinois, Pennsylvania, Texas, and Washington. Comment from expert scientist: Identifying the key components to different forms of energy -- production, consumption, and distribution patterns, are explained in good way. 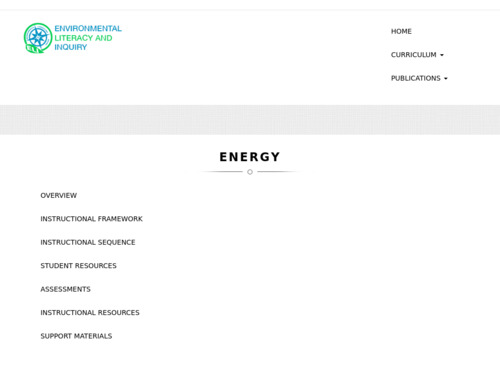 This lesson is from a 6-week instructional sequence on energy resources. The entire sequence can be found here: http://www.ei.lehigh.edu/eli/energy/sequence/index.html. Students examine the US energy production and consumption charts to draw conclusions. The paper and pencil exercise, although simple in design, encourages students to take the time to analyze and explore both renewable and nonrenewable energy sources within the US. Handouts and reading assignments are provided for students. A PowerPoint presentation supplying background information on the topic is also available and can be printed out in PDF form.